Germany 2006 World Cup was one of the most increadible football competitions seen in the last decade. 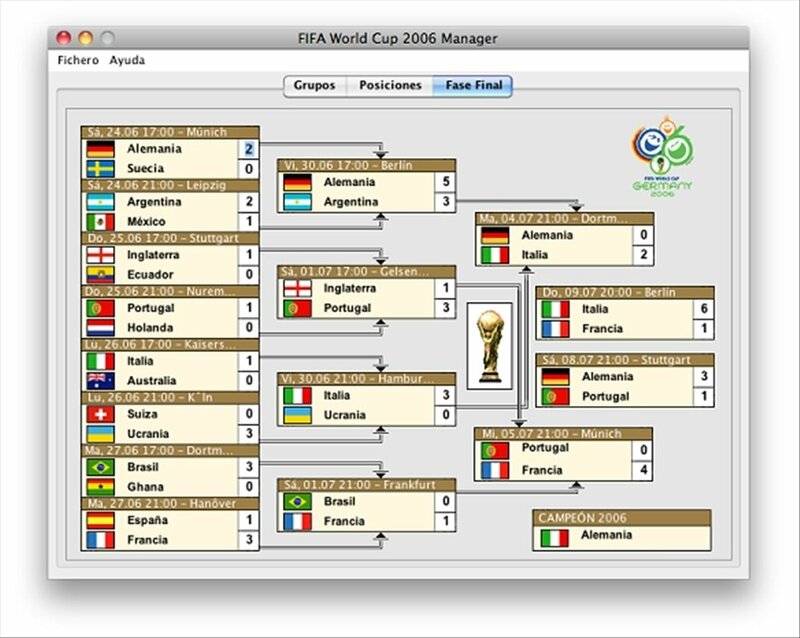 Now with FIFA World Cup Manager you will be able to remember everything that happened during that championship. FIFA World Cup Manager is a guide to check results and development of the 2006 World Cup which took place in Austria and Switzerland. View the results, groups, qualifying rounds, etc. 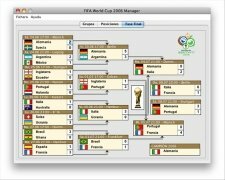 Guide to the results and development of the 2006 World Cup for Mac. Online update of the match results. Includes support for proxy servers. Allows the possibility to choose your time zone. Follow the steps of your national team through out the 2006 World Cup. Check the teams which form each group in the first stage, as well as all of the match results. After that you will be able to view each team did in their bid to reach the final. 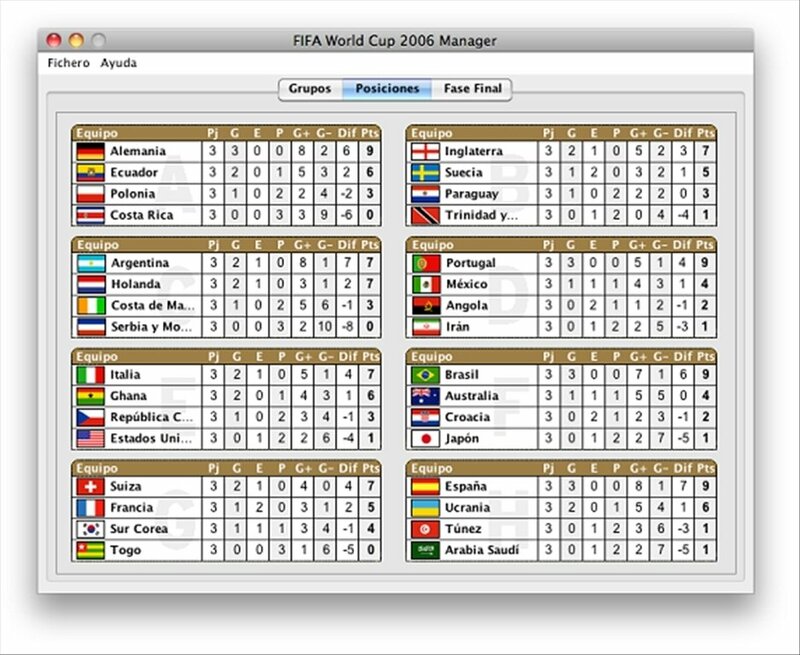 Download FIFA World Cup Manager free for Mac and relive all the thrills of the 2006 World Cup.